Former Deputy First Minister of Northern Ireland Martin McGuinness died Tuesday morning following a battle with a rare heart disease. The Sinn Féin member and former IRA leader played a key role in negotiations during the peace process. McGuinness,66, died just two months after stepping down from office, with tributes pouring in from Northern Ireland and elsewhere. To many he was seen as a peacemaker, playing a key role in establishing stability in Northern Ireland after a 30-year sectarian conflict that pitted Catholic nationalists seeking union with Ireland against British security forces and mainly Protestant loyalists determined to stay in the United Kingdom. But for others, however, McGuinness will be remembered as a key figure in the IRA (Irish Republican Army) – designated a terrorist group by Britain – which was central to the bloodshed. "He was a passionate republican who worked tirelessly for peace and reconciliation and for the reunification of his country,” Gerry Adams, the leader of McGuinness’ Sinn Féin party said in a statement. At a young age McGuinness became a key member of the IRA during their violent campaign against the British security forces in Northern Ireland. Following the 1972 Bloody Sunday massacre, in which 14 unarmed Catholic demonstrators were shot dead by British parachute regiment soldiers, McGuinness, along with Gerry Adams, were amongst a number of Republicans flown to London to meet with the British government in secret, beginning a long path towards the peace process. 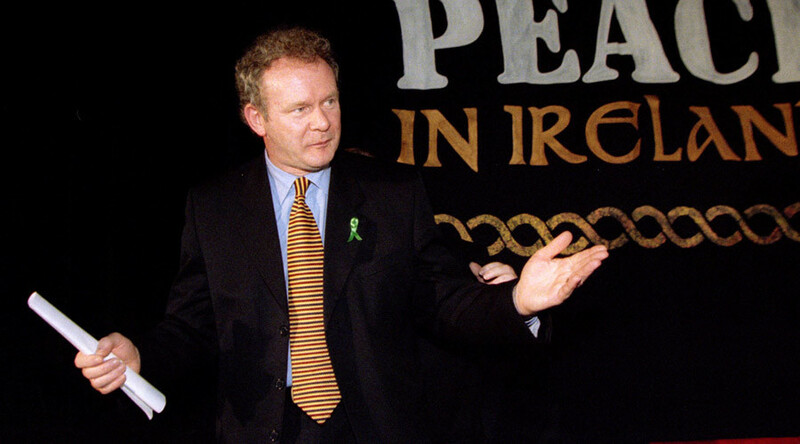 McGuinness went on to step away from the IRA and become a key figure in Sinn Féin, serving as their chief negotiator in the discussions which led to the 1998 Good Friday agreement. In 2007 he became the country’s deputy first minister, sharing power with unionist First Minister Ian Paisley, the then-Democratic Unionist Party leader with whom he once stood in staunch opposition. Despite their history the two went on to form an unlikely alliance. Paisley’s son Kyle, tweeted his sorrow for McGuinness's death, saying he looked back with pleasure on the “remarkable” year he spent in office with his father. 2/2 spent in office together and the great good they did together. Will never forget his ongoing care for my father in his ill health. He continued in office until January this year when he resigned his position, citing the new First Minister Arlene Foster’s refusal to step aside following controversy over an energy scheme she oversaw. Former British Prime Minister Tony Blair also paid tribute, saying the peace process would not have been possible without him. Norman Tebbit, who served in Margaret Thatcher’s Cabinet during the height of the IRA violence and whose wife was paralyzed in a 1984 bombing in Brighton, described McGuinness as "not only a multi-murderer — he was a coward." He claimed McGuinness was "parked in a particularly hot and unpleasant corner of hell for the rest of eternity."